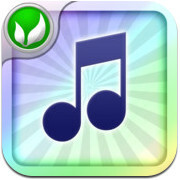 Sound Match is one of the classic memory game apps that can improve various skills in your toddler. Unlike the pictorial collections, the child’s listening capacity is challenged in this app. It is one of the best apps designed to improve your memory skills. The app comes with multiplayer mode, 25 unique sounds, various difficulty levels, and even play at global level and set scores. 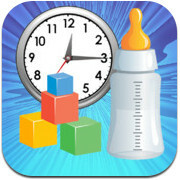 Baby connect can be described as the number one apps for working moms, as it is the complete baby tracking and monitoring mobile app. The app helps the mothers to store data about various things like - medicine, vaccine, growth tracking, timers, reminder alarms, and much more. Some of the best features of the app include – various graphical charts, different tracking systems, uploading kid’s photograph, push notifications, free notes, etc. The application is also password protected which ensures maximum data protection. The name suggests it all, and the app has won the best Parenting and Family application. The app comes with some of the most incredible family organizing features and tips, which helps both working and home makings mothers. Some of the features include – family calendar that helps to set an agenda, shopping lists to make your shopping easy, the To Do lists to arrange the daily chores, family journal to capture the special moments in life, and more. The app is also available in a Cozi Gold version, which provides an ad free experience. 4. Mom Maps - by By New Media Parents, Inc. 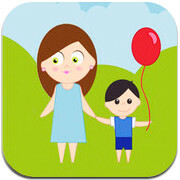 Mom Maps becomes the best guide to find the best child friendly places around you. 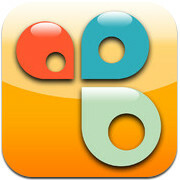 You can search for parks, playgrounds, museums, indoor and outdoor play areas and much more with the help of this app. The app also provides a list of some of best-reviewed child friendly places in your neighborhood. Some of the features include – bookmarking favorite location, uploading pictures and videos, GPS locations, provide reviews and rating, etc. The app currently includes 28,000 locations from over 28 metro cities in the US and Europe. Author: Tani Thomas is a copywriter for mobile application development company, Zco Corporation. Zco offers iPhone app and Windows Phone app development.